Many businesses fail to spend enough time and attention on their lead capture strategy. It's crucial to have a solid lead generation plan before planning a visit to a trade show or special event. Business card capture is an important part of this plan - as the fastest way to keep a connection going, business cards are here to stay. Now collecting contact information from potential leads just got easier! Our Business Card Capture app is a great way to digitize your paper business card contacts and make an instant connection in minutes. 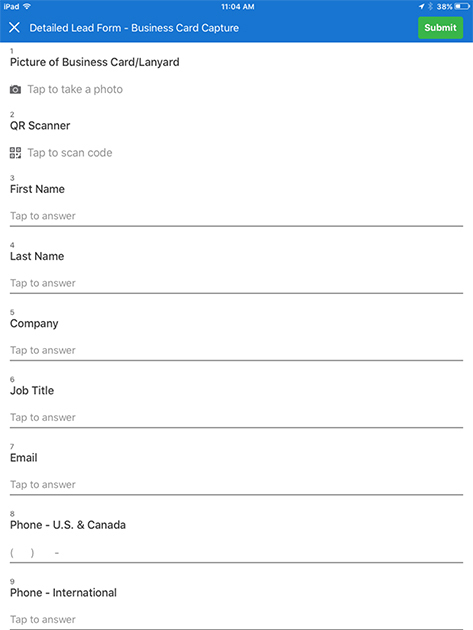 Just use the QuickTapSurvey app to take a photo of your lead's business card or lanyard, and you're ready to reach out to your contact immediately using our automated email response feature. 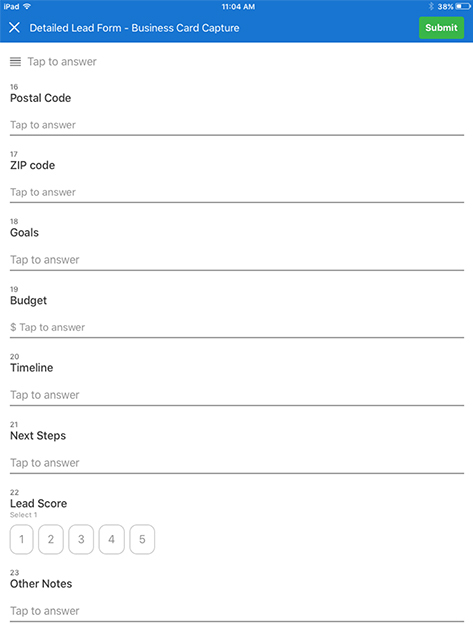 With QuickTapSurvey's quick and easy Detailed Lead Form Business Card Survey template, Say adios to old pen and paper alternatives, and say hello to beautiful and functional forms that you can use to capture lead information anywhere - even offline. 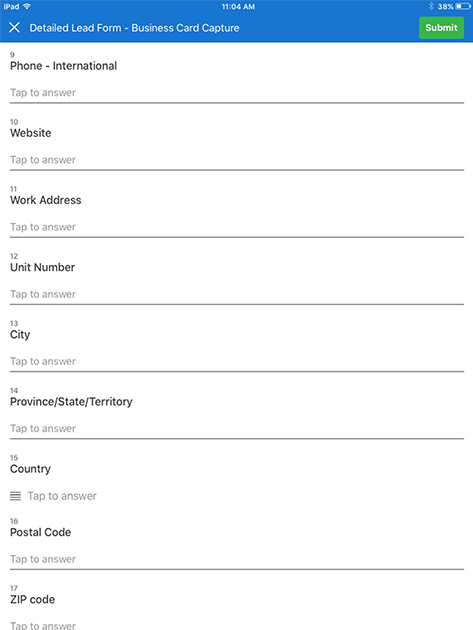 Customized survey examples like this one are simple to create with our online survey builder tool. Best of all, responses can be recorded on any mobile device or kiosk and your responses can be analyzed using our app's great analytics and reporting tools. Who is this Business Card Capture Template for? This survey example is a great tool for large and small businesses. If you have a trade show or event to attend this year and you need a better tool to capture business card information from your leads and contacts, QuickTapSurvey is the best solution for your needs.